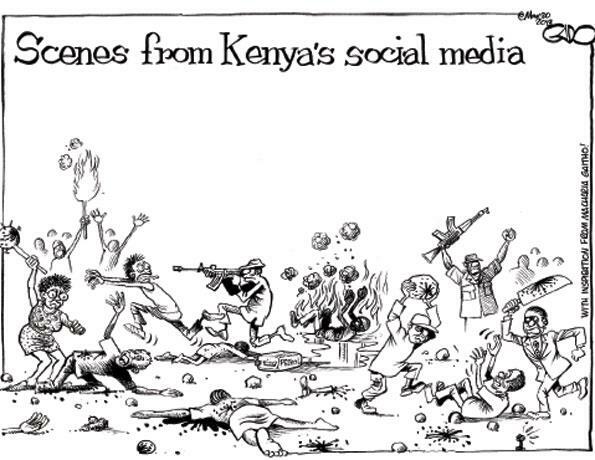 During the 2007 Post Election Violence (PEV) I got really traumatised by what I saw on Tv. Not bloody images, but how we were treating each others as Kenyans. It took me about 2 years to start watching local Tv and another 2 years to stay in a room where a local news bulletin was being aired. It seems that after the elections this time, people have taken to social media to display their inner ugliness, prejudices and demons. I am getting really upset by people’s posts, forwards and comments on things that they have no facts on. I don’t support either top presidential candidate but it is really irritating how their respective supporters have become fools for them. Yes, fools. How else would such stupidity be explained? For this reason, my delicate sensibilities and heart cannot take it much longer. I am logging out from Twitter and FaceBook for a while. This is my year of being fabulous and I am not going to go off track. So please, don’t forward me e-mails, texts or whatever information you have about your favourite candidate. I am just not interested. But if your favourite candidate is at your house every evening to hear how your day was, to pay your bills and to comfort you from this world’s hurts, let me know.